2016-10-18 Added video RetroCod 2016 talk. Media. 2016-10-18 Added link to El Mundo del Spectrum Podcast. Media. 2016-10-18 Added link to FAQ + Manual V2 by Uto. Downloads. 2016-09-02 Updated file ZX-UNO Board 4.1 Scheme Pin-Out. Downloads. 2016-08-25 Updated SDK Radastanian Mode (v0.3 beta) - Developed by @Radastan. Software. 2016-06-10 Added Sketch-Up ZX-Uno (v4.1) SKP file format - Development by @Mejias3D. Downloads. 2016-05-31 Transparent box for ZX-Uno 4.1 - Design by @Arananet. Downloads. Media. 2016-05-25 Added snapshots in high resolution 3D PCB Sketch-Up. Media. 2016-05-18 Added snapshots of 3D PCB Sketch-Up by Mejias3D. Media. 2016-05-18 Updated file PDF Pin Out in section Downloads. 2016-03-23 Added Video Demo Sam Coupé Media section. 2016-03-19 Link to Verkami with information about our crowdfunding campaign (closed). 2016-03-08 Updated links of ZEsarUX and Pinout Scheme. 2016-02-08 ZX-Uno pre-campaign crowfunding survey closed !!! Thanks for participate!!! 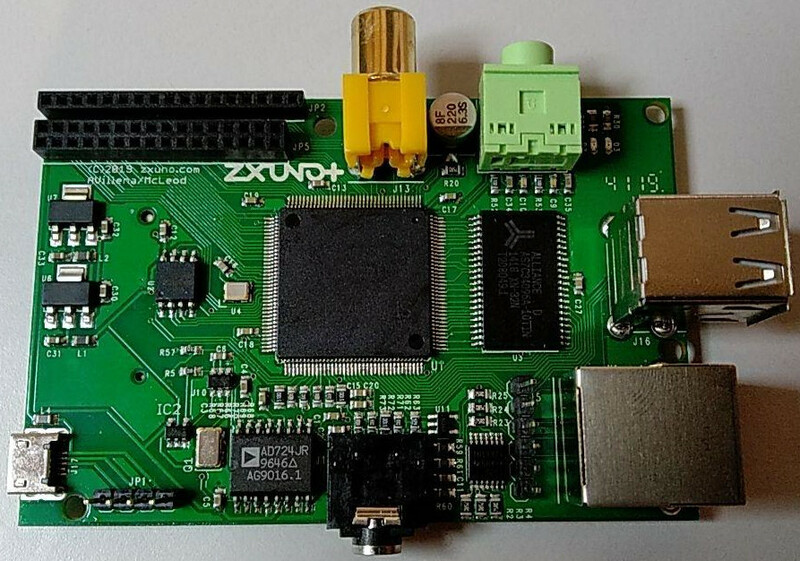 2016-02-03 ZX-Uno pre-campaign crowfunding survey opened!!! !